Your Source For Environmentally Friendly Flooring Products And Information. Browse online and order 4 free samples plus S/H. Information About Shipping, Affiliate Stores & Installation Contractors. 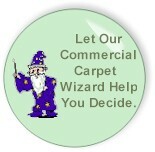 The Carpet Wizard makes specifying flooring easy and fun. After just a few clicks our GreenFloors experts can assist you with specifying the carpeting that meets your project requirements. In the GreenFloors Recycling Center, you'll find out about what makes products "green" and how to recycle old carpet. 1... is recycled and reduces dependency on oil. 2... meets government regulations for recycling. 3... can last longer than conventional flooring. 4... creates pride in ownership and contributes to a better world. 5... is safe for you, your family and the environment..
6... is recyclable to prevent needlessly filling up our landfills. 7... can save you time and money and makes you look and feel good. 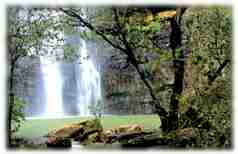 8... ensures a healthy environment for future generations..
We all affect the environment – and we rely upon it, too. GreenFloors is committed to protecting our natural resources through a focus on environmental stewardship. From the products we offer to the ways we help customers to recycle, GreenFloors is working to help ensure a healthy environment for future generations. Learn More About GreenFloors Environmentally Friendly Products. Copyright ® 2006 - 2012 GreenFloors®. All rights reserved.